For the last nine years Kate’s life has been one full of contentment. Other than a minor blip in 2003, she hasn’t had to worry about aliens bothering her or her son. Indeed, her biggest concern is Gordy’s first girlfriend. But it all changes when a face from her past appears, bringing with him a warning. Gordy, and his cousin Conall, is kidnapped by a radical group calling themselves the Sāmaṇeras of Maitreya! 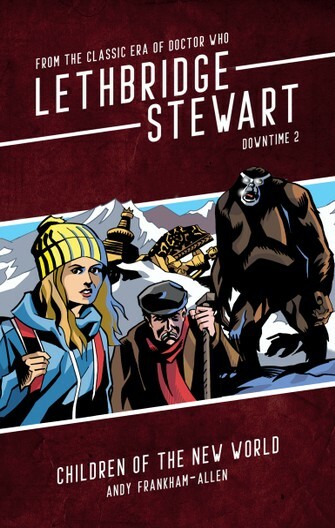 The Brigadier and Kate join forces with Douglas Cavendish, and the three set off on a mission to the ruins of Det-Sen Monastery in Tibet where an ancient power is about to rise. It a mission that will tear the Brigadier’s family apart, bringing them face to face with their worst fears and inner demons! THIS IS A LIMITED RELEASE (500 COPIES ONLY) PRE-ORDER NOW TO AVOID DISAPPOINTMENT! A sequel to the popular DVD written by Matt Platt. Click here to buy the DVD.